Daughter Anna Gryce had a further success at the Lambeth Horticultural Society Show, this time at the Summer Show on 7 September 2013. Her two exhibits in the ‘Dark and Light’ photographic class won first prize, and best exhibit in the photographic section! 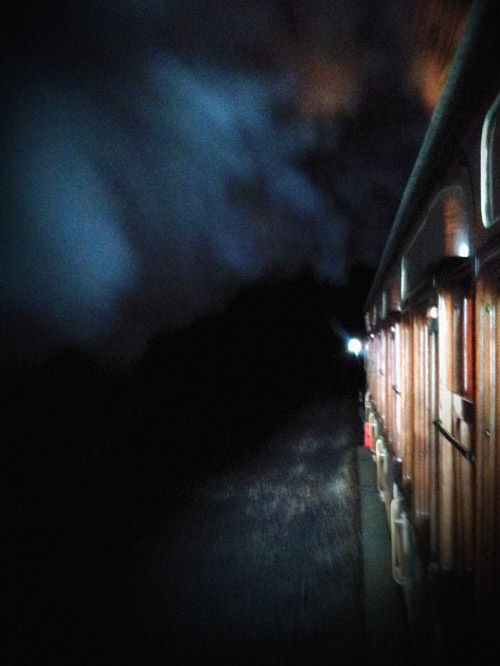 The original photographs were taken from a steam hauled train on the Bluebell Railway heritage line in West Sussex as the train approached Sharpthorne Tunnel between Horsted Keynes and Kingscote stations. 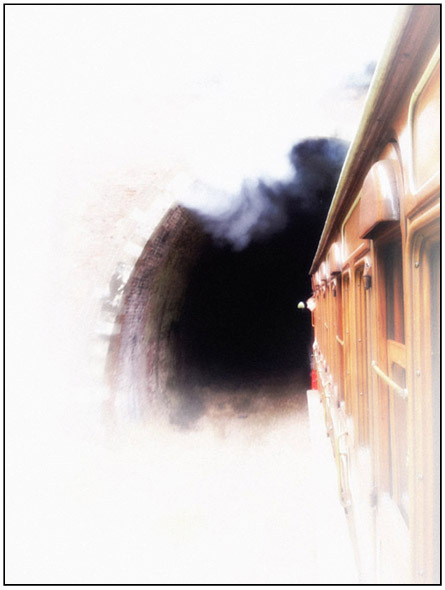 The image of the train in the tunnel was modified to emphasise ‘dark’. In this photograph, the red from the fire of the engine is reflected on the tunnel roof and the light from the carriages reflects off the smoke and the stone ballast of the track. The image of the train as it is about to enter the tunnel was modified to emphasise ‘light’. Here the light from the sky and the smoke from the engine merge into one. Incidentally the wooden carriages are from the London Metropolitan Railway and date from 1900. Anna’s previous success at the show can be seen here.